A difficult one as the 1956 version of Invasion of the Body Snatchers has its fans. 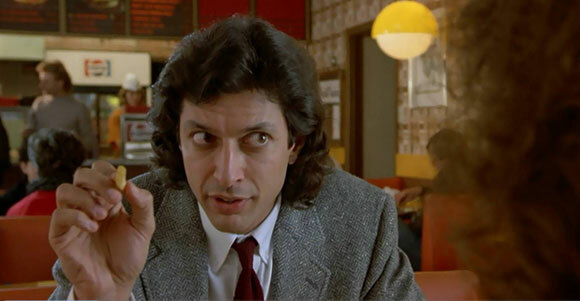 However, the strong cast (which includes Donald Sutherland, Brooke Adams, Leonard Nemoy, Veronica Cartwright and Jeff Goldblum) and grimy, gritty aesthetic that director Philip Kaufman utilises makes the update slightly more appealing and, importantly, frightening. Ron Howard is a crowd-pleaser. He’s made a career out of making commercially successful movies that win both audience favour and hearts. EdTV was therefore a bit of a misstep for the director of such hits as Apollo 13, The Da Vinci Code and Rush, falling foul of the critics’ wrath and failing to set the box office alight. But it’s always been a favourite of mine from the 1990s. It takes the essence of 1994 Canadian French-language film King of the Airwaves and sets star Matthew McConaughey the task of living with a camera crew 24 hours per day. Arriving a year after The Truman Show, and just as reality television was beginning to take off (with the likes of Big Brother beginning in the UK the following year), EdTV was perhaps overshadowed by Jim Carrey’s brilliant film but still just as progressive. Both films highlighted pop culture television viewing habits well before they became the norm. Frank Oz updates Ralph Levy’s 1964 comedy Bedtime Story with Michael Caine and Steve Martin playing the “scoundrels”. The pair deliver delightful performances thanks to a great comedic chemistry in this amusing tale of two con men competing to coax $50,000 out of a ditzy American heiress. James Cameron’s lucrative but expensive action-adventure starring Arnold Schwarzenegger is a loose but obvious re-interpretation of French film La Totale. 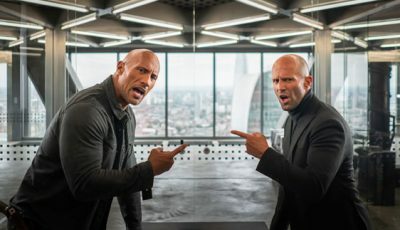 It follows the actions of Secret Agent Harry Tasker who regularly conducts undercover military operations for his government employers while leading a double life as a mild-mannered computer-selling house-husband, his wife and teenage daughter completely unaware of his “license to kill”. Fun, funny and action-packed, True Lies is one of the great sequel-begging films that surprisingly never got its Part 2. Hollywood’s annoying habit of ripping off East Asian horror has delivered more than its fair share of duds but The Ring isn’t one of them. The talented Gore Verbinski, whose films are always visually gorgeous, gives the story of the haunted videotape a disturbing grey-skied aesthetic to support a strong turn from desperate mother Naomi Watts. The forgettable Rat Pack original is given a new lease of life by a top-of-his-game Steven Soderbergh who assembles a brilliant cast that includes the sparkling chemistry of George Clooney and Brad Pitt as wise-cracking casino robbers. Updating Christian Nyby’s 1951 film The Thing From Another World, John Carpenter delivers possibly his finest ever work. 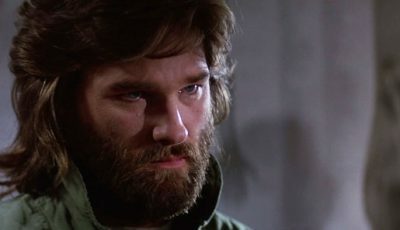 Taut, thrilling and frightening, Kurt Russell leads the fight against a parasitic alien life form which has the ability to imitate organisms, including human beings, when it comes into contact with them. The isolated Antarctic location offers a suitably spine-chilling backdrop to the ensuing horror, underpinning the group’s sense of helplessness and ever-increasing paranoia and distrust. This is on top of some excellent special-effects, strong performances, particularly from Russell, and the inclusion of one of horror cinema’s greatest ever scenes: the unforgettable blood test. David Cronenberg, in typical David Cronenberg fashion, re-imagines the 1958 sci-fi horror classic from director Kurt Neumann with an almost obsessive focus on Jeff Goldblum’s slow, painfully destructive mutation from man to fly. Some great special-effects including make-up and puppetry help 1986’s The Fly trump its fifties counterpart. 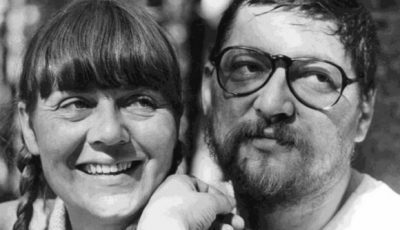 It isn’t often you’ll get the chance for a “do-over” in the film industry. A big commercial flop could mean the end of careers and peer isolation. But when you’re as talented as Michael Mann, that’s not likely to happen. In 1995 he got the chance to remedy his ill-fated TV pilot L.A. Takedown, which was eventually re-worked and released as a standalone film. Heat allowed the director far more creative freedom than L.A. Takedown. His previous effort was hampered by studio interference leaving Mann to disown the project. 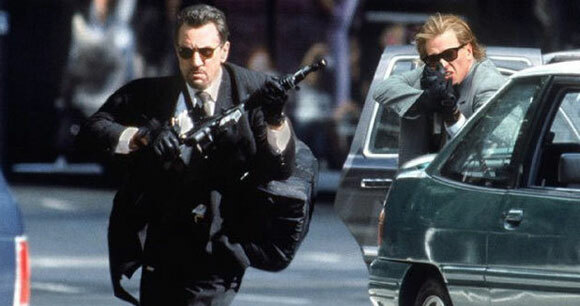 Heat benefits from its refined action including the iconic street fire fight between Robert De Niro’s bank-robbing crew and Al Pacino’s determined cop as well as an increased budget allowing for more dynamic set pieces and the inclusion of two of modern cinema’s greatest actors. Billy Wilder’s timeless comedy classic Some Like It Hot is a remake of Richard Pottier’s 1935 French film Fanfare d’amour (“Fanfare of Love”). Wilder’s genius is enough to enhance the story of two musicians forced to disguise themselves as women in order to hide from mafia gangsters having witnessed a mob hit. 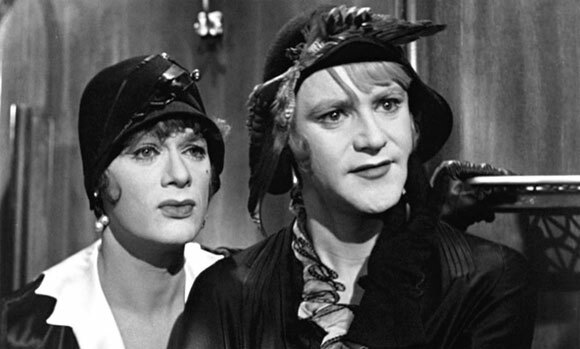 But it’s the fabulous performances of Jack Lemmon and Tony Curtis, as well as the almost blinding radiance of the iconic Marilyn Monroe, that makes Some Like It Hot so entertaining, funny and re-watchable. Over to you: what are your top 10 movie remakes? Very good list, but where is The Departed? For me, that’s the definition of how to remake a film. I wouldn’t disagree with you Wendell in terms of The Departed’s place amongst Scorsese’s very best. I’m a big fan of the film and have sung its praises many times. But I had to ask myself: is it better than the original. And while it’s a fantastic film I think the film it was remade from – Infernal Affairs – has so much to offer in its own right to be considered inferior. So while Scorsese’s effort is great, for me, it wasn’t “better” than the original; more on a par with it. We’ll have to agree to disagree on that one. I like Infernal Affairs quite a bit, but I think The Departed blows it away due to far superior character development. There are a couple of remakes that I love simply because they’re just as good as the already loved originals, e.g. 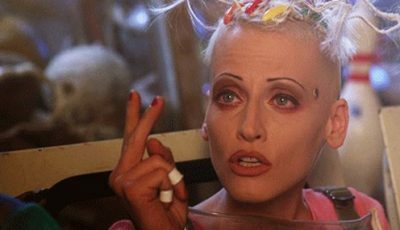 La Femme Nikita/The Assassin and Total Recall/Total Recall (personal opinion here). Heat, with Al Pacino and Robert De Niro is one of my favourite movies, which allows me a beautiful little segue into a couple of other suggestions: Scent of a Woman and Cape Fear. I’d suggest Infernal Affairs is just a bit too good to allow for a placing of The Departed on here. Thumbs up from me for your ten choices. For years didn’t realise The Thing was a remake but it’s an incredible film. 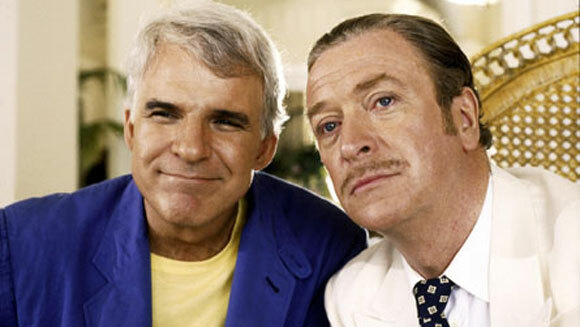 Also love Dirty Rotten Scoundrels, again didn’t know that was a remake. Anothe vote for The Departed. Just thought it was a better film all round. The Original ring is much better than the remake, it has more suspense and is actually scary in comparison to the American remake. nice job. Will disagree on #10 but you are right on the rest. Cape Fear. And Vanilla Sky. For me, one of the worst remakes. The best one is the original 1930s version. Not sure if I agree with The Ring being better than the original, I like the remake a lot but the original really scared the crap out of me. Definitely agree with True Lies, The Thing, Ocean’s 11 and Heat. For me there are only few remakes that are better than the original, The Departed was superb, I really like the original Hong Kong version but I loved Scorsese’s version. Tony Scott’s Man on Fire was much better than the original 80s version. Surprisingly Scott was in line to direct the original but the studio thought he’s too new in the industry and hired a more seasoned director instead. It’s a tough call on The Ring. Like The Departed/Infernal Affairs. I went with The Ring (US) as better than its East Asian original but thought Infernal Affairs *just* won the race against the terrific Departed. Good debate though. Great list. Heat is definitely tops for me. But Ocean’s 11, The Ring, The Fly – all great picks. Thanks Alex. It’s nice to hear there’s another fan of the American version of The Ring. 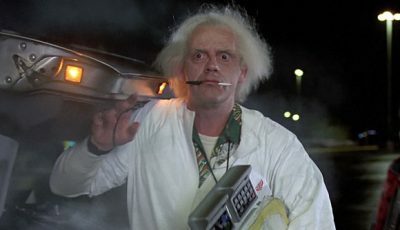 An entertaining list – a few of these I didn’t realise were remakes. While the road movie part of Henri Georges Clouzot’s The Wages of Fear is better than its equivalent in William Friedkin’s Sorcerer, in an overall sense I prefer the Friedkin version. Tom Savini’s remake of Night of the Living Dead stands up pretty well in comparison with the George Romero original; ditto Zack Snyder’s reworking of Dawn of the Dead, which was surprisingly good. I agree with some of the above comments that Cape Fear and True Grit could also have found a place on the list, even if the latter wasn’t so much a remake as a reworking of the original book. There has been some debate over “remakes” and “reinterpretations” of the book when the source is a novel. You can argue that The Thing is one of those examples but for me it has always been that great remake which trumped the original. Others have said – where is 1941’s Maltese Falcon but for me that was another adaptation of the book rather than a remake of the 1931 film. There’s a grey (“gray” for my American friends) area but I’m not sure it matters too much. I agree with the Departed being one of the best remakes. 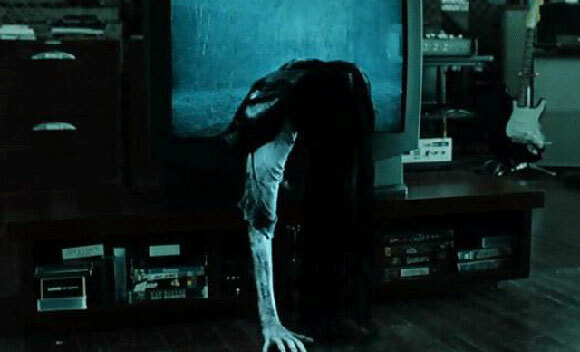 I’m thrilled that the Ring is here as it is one of the best horror films of all time imo. Cape Fear is another good one. Terrific list. Happy to see the 70s version of Body Snatchers on here. It’s amazing! Didn’t know True Lies or Heat were remakes, but now that I do, I agree that they belong here. 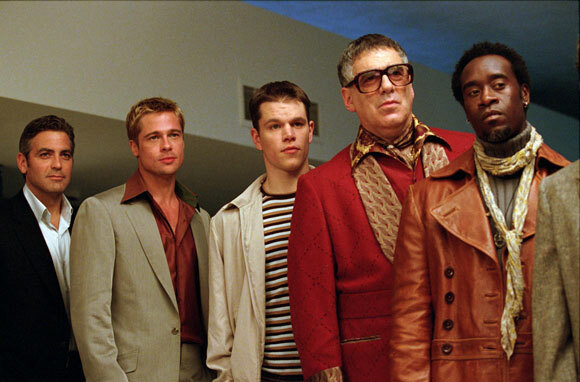 Ocean’s Eleven and The Thing are also very deserving. 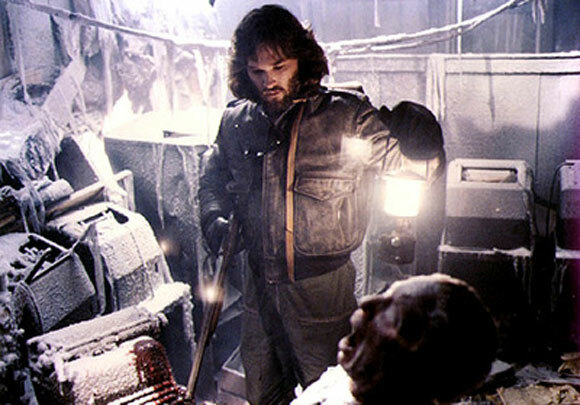 The Thing is one of my favorite sci-fi/horror films of all time.